Chances are milk crates somehow made their way into many of our first forays into home decoration. The ubiquitous plastic crates stack great, provide lots of usable storage, and can be used as a stool or end table in a pinch. But they tend to warp, break down quickly and, frankly, look pretty rough. 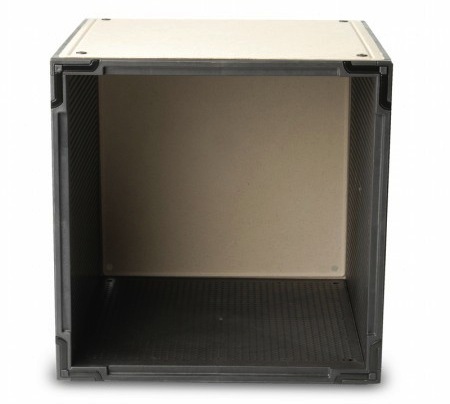 A company called Yube now provides an adult replacement to the milk crate. Their YubeCube is a 13″ cube that does all the duty (and a lot more) of the milk crate, without the fresh-out-of-high-school aesthetic. The YubeCube is infinitely customizable and configurable to whatever situation you need it for. Unlike milk crates, they lock together and can be stacked up to 6′ 5″ high. They can handle 110 lbs internal weight and 55 lbs external load. You can leave them open or close them off with myriad door styles including polished aluminum, frosted glass, bamboo, white or several different patterns and colors. You can add feet, wheels, shelves and LED lights to the cubes. The YubeCubes also feature a very solid eco-cred, with panels made entirely made of sugarcane fiber, bamboo and recycled plastic. 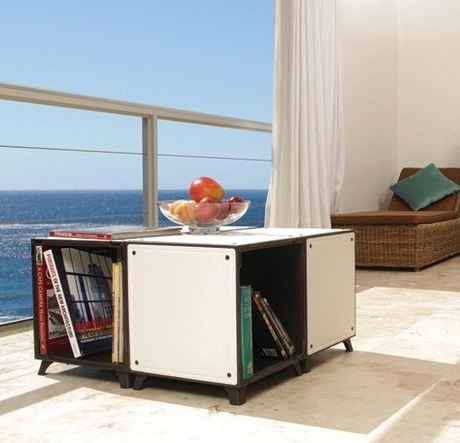 Yube offers the cubes individually or in various different sets such as a bathroom set, media storage, coffee table or desk. Individual cubes sell for $34.50 without accessories. Sets range from a $100 nightstand to a $1250 extra wide wall shelving unit. If they asked us, we might suggest the YouCubes have a higher weigh load, as it’d enable them to be seating. And while they are certainly more polished than milk-crates, they still have a somewhat utilitarian look about them. Our little gripes notwithstanding, we think the YouCube is a great idea. It’s a piece of storage that can be used as furniture and can be modified to meet a million different purposes, styles and room sizes.